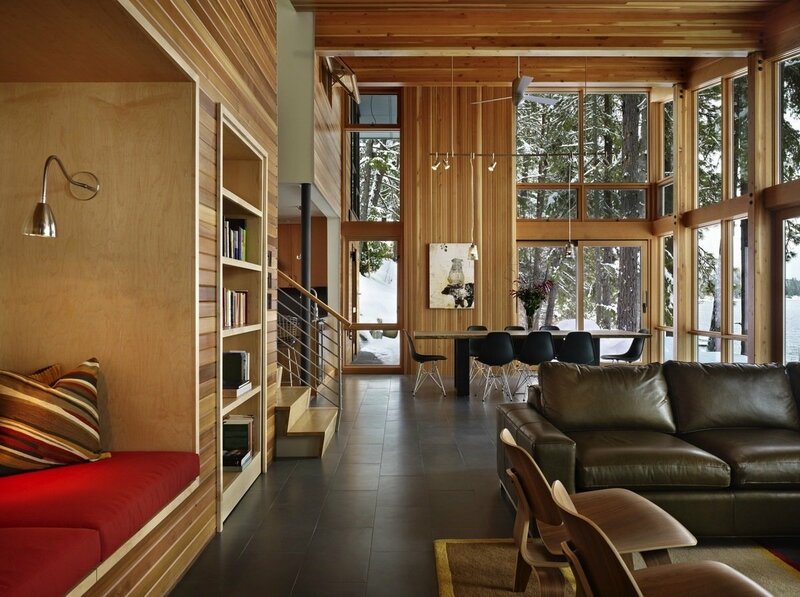 This house on Lake Wenatchee in Washington was designed to be “cozy for two and comfortable for a crowd,” as architect John DeForest puts it—thanks in part to a hidden media room. The owners of the house, empty-nesters who have three kids in college, “asked for a small and rustic modern cabin that would be flexible enough to accommodate the kids and their friends,” says DeForest. 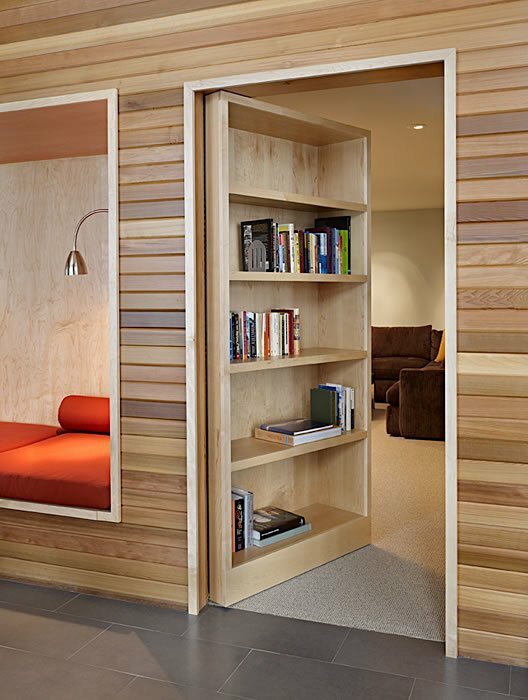 “The challenge for us was to design a small house that could sleep from two to 15 people!” Part of the architects’ solution was a secret room, hidden behind a bookshelf. The shelf swings in to reveal a large media room equipped for sleeping and movie-watching, with couches and a Murphy bed. 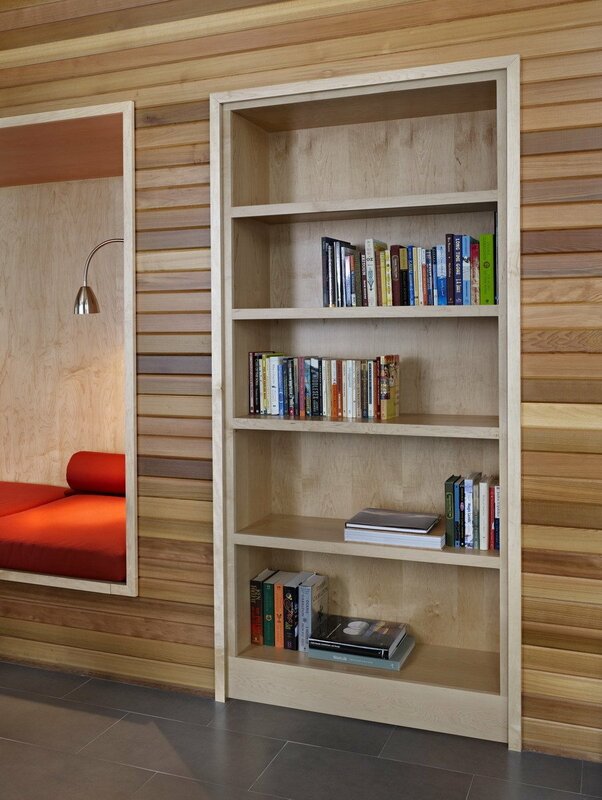 When the bookshelf is pushed flush with the wall, you’d never know there was anything behind it. We love this clever and playful approach to space planning. For more examples of smart approaches to small spaces, see this 400-square-foot cabin with a plethora of built-ins, this Seattle houseboat, and many more on Dwell.com.